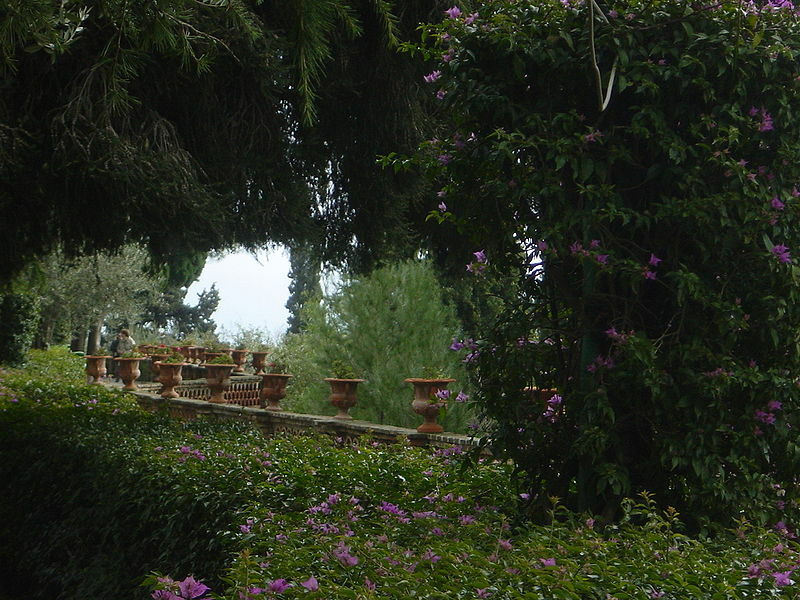 We’ll leave the Aeolian Islands, and head to an elegant spot in Sicily: cliffside Taormina. After Goethe “discovered” this place, it became a hotspot for artists, writers, and glitterati–beloved by Oscar Wilde, D.H. Lawrence, John Steinbeck, Truman Capote, Tennessee Williams, Liz Taylor, Monica Vitti, Sophia Loren…you get the idea. As my Sicilian friend Loredana Grasso says, putting it nicely, “It’s a gem, it’s picturesque, it can be…touristy!” Which is why Loredana is helping me guide you along a Golden Day, giving her insider’s tips. 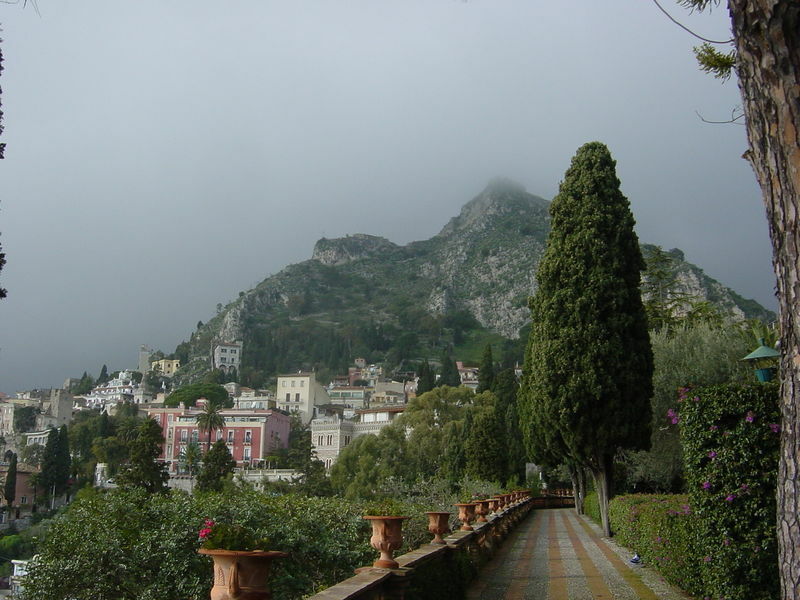 I have had some lovely stays in Taormina, with Backroads and Country Walkers, which is where I met Loredana. She is an adventurous gal, (pictured here on the right), who just started up a Cultural Association with Orietta (on left), called Sicily Memory Roamers, which helps travelers find their roots, and is available to provide tips and services so visitors can have a native’s view of the island. 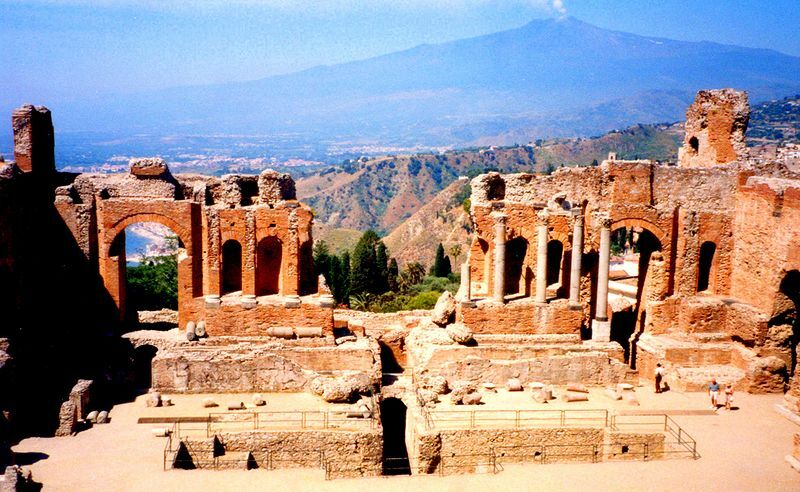 Loredana agrees with me that a Golden Day in Taormina begins at the Teatro Greco, one of Italy’s most amazing spots. The Romans built over a Greek theatre, and the setting is so spectacular–with a view of the sea and Mount Etna. (It’s also fab at sunset). For lunch, you may want to have a picnic. The best supplies are to be brought at Mini Market Venuto (Via Bagnoli Croce 68), where Mr. Venuto will welcome you and offer a great selection of Sicilian wines, pistachio and almond pastries, marzipan, and cheeses. The panini are wonderful–Loredana recommends one with tuna and tomatoes. Take your picnic to the beautiful Public Gardens, where you can sit in the shade and admire stunning views. If you’d like to enjoy the beach, from the center of Taormina, take the Funivia, (Cable Car), to Mazzaro or Isola Bella, two small charming bays, where there are free beaches. To reach Isola Bella, you walk along a narrow sandy path, which disappears and reappears depending on the tides, and takes you to a lush green island. The turquoise water is crystal clear, there are intricate caves along the shore. For an afternoon adventure in cooler weather, hike up the Sentiero dei Saraceni (Path of the Saracens, about 40 minutes) to the quiet old village of Castelmola–the views are breathtaking! Or you could drive, leaving your car just outside the village, as Castelmola is pedestrian only. 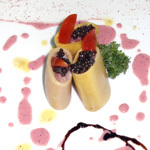 In the center of Castelmola is the most unusual Bar Turrisi, which features works of art that honor the God Priapus–in other words, lots of penises! Table legs and chair arm rests are phallus-shaped, everywhere you look there are Priapus chachkes in all shapes and sizes. The bar is famous for these fertility symbols and also for excellent almond wine. 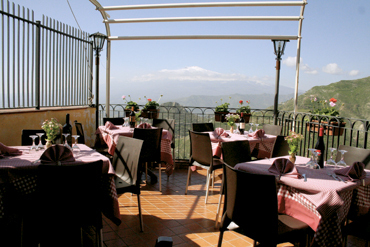 You may want to have lunch in Castelmola–a perfect place near the central square is La Taverna dell’Etna, where you should book in advance, even though it’s completely casual. The terrace view is superb and I had the best Pasta alla Norma there. They also serve homemade almond wine, and liquers flavored with pistachio, prickly pear, and almond. The cannoli and cassata are also excellent. If you’d like to hike further, take a path up to Monte Venere, the highest spot in the area, where you can see the coasts of Sicily and Calabria. Back in Taormina, you’ll inevitably find yourself with the other tourists, strolling along the main Corso Umberto, window shopping. I’d recommend stopping at Pasticceria Etna (Corso Umberto 12) for a delicious slice of cassata. As the sun sets, Loredana recommends a cocktail at the Metropole bar and restaurant, (Corso Umberto I, 154). “It has the most scenic view, it’s magical.” The Metropole is a new 5-star luxury hotel–a restored 18th century palazzo, and the restaurant has received a Michelin star. 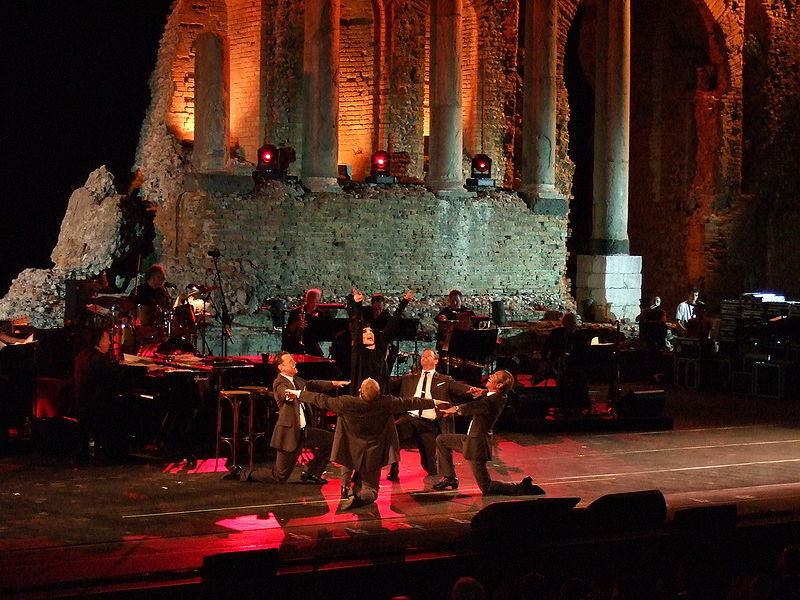 If you’re in Taormina in the summer season, try to arrange your stay so you’re there to see an opera or concert at the Teatro Greco–they mainly take place during Taormina Arte in August–(the photo is a Liza Minelli concert! ), or maybe even go for the Taormina Film Festival in June. 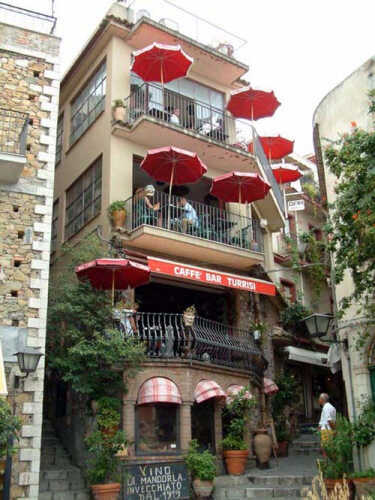 Otherwise, join in the great tradition of La Dolce Vita drinking, people watching, and listening to live music in the grand Piazza IX Aprile—Caffe Wunderbar and Mocambo Bar are classics that have hosted such Taormina visitors as Tenessee Williams and Greta Garbo. For something more intimate and romantic, get dressed up and sneak into the San Domenico Palace, a most luxurious hotel (converted monastery). I loved staying last October at the Hotel Villa Schuler, that’s tucked away behind Corso Umberto. It’s an eco-friendly hotel that has been in the Schuler family since 1905. The staff is wonderfully welcoming, always ready to give advice for touring (such as winery excursions), restaurants or shopping. The breakfasts on the terrace are lovely, rooms are spacious and prettily decorated with antiques. Plus there are balconies with dreamy views…and clotheslines! I love Villa Schuler–its vast views of Mount Etna and the sea from the patio at breakfast time and the lush garden in the back that’s a peaceful refuge. When I first went there, I asked about the history of the property. They gave me a little booklet, The 100 Year History of Villa Schuler. A most inspiring tale of how the Schuler family lost this property twice in the world wars to governments and fought and won it back twice. It made me admire the Schulers and look at the property in a new, inspired light. If only the walls could speak! 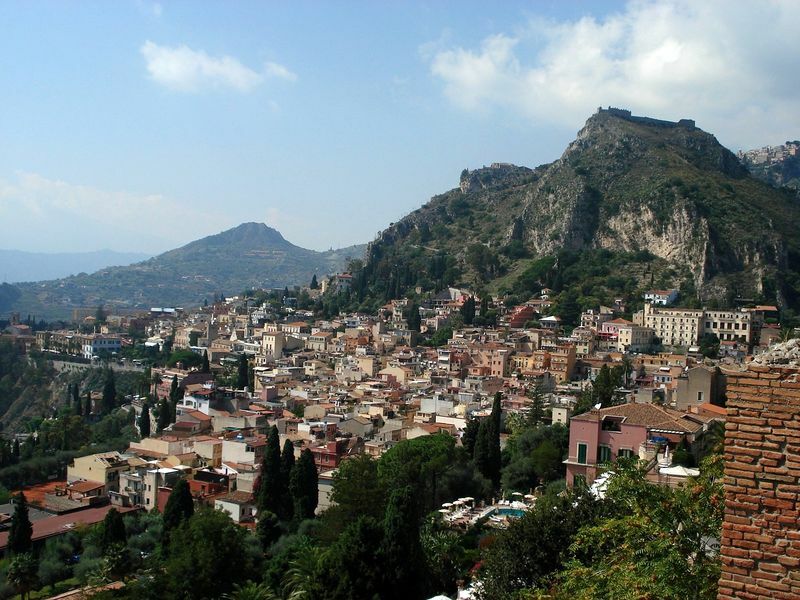 Lucky you, that you’re nearby and can weekend in Taormina! I love your writings about Sant’Agata in Catania on your blog! Thanks for the great info. I went last summer, but we hadn’t planned ahead enough to see much. I guess I’ll just have to go back again this spring! Have you made it back?